Pax Era Premium Vaporizers and Pax Era Pods are in at Elements Boulder! Although they are small in stature, barely more than a beefed up Juul, you’ll find that each of these little bad boys Pax a wallop, forgive the pun. The vaporizer itself is sleek and slate, micro-USB charged, and streamlined in shape with a flattened ovoid cross section that prevents it from rolling off a table, as many pen-style batteries have a tendency to do. For the sake of discretion the cartridge fits almost completely inside the battery housing, entirely covering the concentrate from view of prying eyes. And banking on the design similarity between the Pax and nicotine vapes, the Pax Era is discrete and easily mobile. Embedded in the center are four LED petals in the shape of the X in Pax which light up as you pull on the concentrate cartridge. The vaporizer itself also comes with a 1 year limited warranty. Not sure how much charge is left on your battery? Give the Pax Era a quick shake side to side and the petals light up in correspondence with the remaining battery life, four for full charge, two for half, etc. And unlike many other vaporizers on the market, the Pax Era is customizable thanks to its proprietary app, which is Android and iOS compatible. With the app’s control center, you can specify the vaporizer’s temperature degree by degree from 430 degrees Fahrenheit all the way up to 790 degrees, so that you can find your personalized balance between more flavor at lower temps or more vapor at higher ones. Personally, mine sits right at 650 degrees where I still get great flavor but also substantial clouds of vapor on the exhale. The battery life is also rather substantial: I’m a mid-range, fairly regular vape user, and my battery typically holds a charge for three weeks of use. And the Pax Era has far and away the smoothest pull of any vape I have tried, so no more hacking and coughing from harsh vaoes with a non-adjustable heat setting. Aside from the impressively customizable temperature settings, the app also has several other unique features. It allows you to change the LED color scheme of the vaporizer, which cycles and whirls as you inhale. Choose from standard, Ocean, Sunset, or Mars configurations. You can also select your session size, putting a limiter on how much you consume in one session and thus helping you dose accurately and make the cartridge last longer. According to the app, “vapor cuts off when you’ve reached your selected session size. Take 1 draw, take 3 draws, take as many draws as you need to complete your session. Petals will cycle aqua when session is complete.” And to turn session control off, simply remove and reinsert the cartridge. Similarly, the Pax Era has a lock function on the app, so you can prevent your mooching roomie from draining your cartridge or keep adventurous little hands from getting into adult substances. Pull as hard as you like, nothing’s doing. Lastly, the Pax app comes with several games that use the vaporizer as a kind of remote controller, for those dull days at work or the doldrums of the dreaded waiting room. The app also has video tutorials to help you get everything up and running. Now as for cartridges, Pax Era Pods are rather unique. They boast three times more vapor than previous generations of Pax Pods thanks to their Dual-wick technology, which wicks concentrate from all sides of the pod, so less concentrate is lost or wasted where it is unreachable in the cartridge; this also means there are two ports in the pod from which to draw vapor, hence the increased vapor! SimpleClick ™ pods just pop in and out magnetically, and each one mentions the strain or flavor on the side of the cartridge that fits inside the battery in a way that is not visible from the outside, again for discretionary purposes. Many concentrate companies produce their own brand of hash oils to fill the Pax Pods, allowing for a greater variety of brands under the larger Pax umbrella. The “high intensity” extract pods we carry here at Elements Boulder are produced by Pyramid Pens, the same folks who make our 150 and 300 milligram Pyramid Disposable Vape Pens. The disposable Pyramid Vapes went over so well with our customers, we decided to bring their brand of concentrate on board for our Pax Pods. We will be stocking three varieties of their Pax Pods: Gold, Prism, and Burst. The Gold Pods are strain specific cartridges whose hash oil is extracted via CO2, and they boast they’re “Additive-free at every step of the process, Gold is all-natural. Through our proprietary quadruple filtering system, we remove any chlorophyll and other impurities only passing on the cleanest oil to our customers.” The Prism Pods are 100% triple-distilled distillate oil that are strain specific with no artificial terpenes added, as many companies do. Both Prism and Gold are available in a wide variety of strains. And last but not least, for those of us who enjoy those tasty flavored vapes, Burst is a flavored variety of distillate pod that comes in Straw Nana, Lemon Lime, Loopy Pebbles, Citrus Sunshine, Tropical Nectar, Peppermint, Wintergreen, Wild Cherry, and Mimosa, with more flavors being developed all the time. Ready to up your vape game to the next generation of vaporizer? Swing on by Elements Boulder Dispensary and get yourself set up with one of the most advanced and customizable vapes on the market. 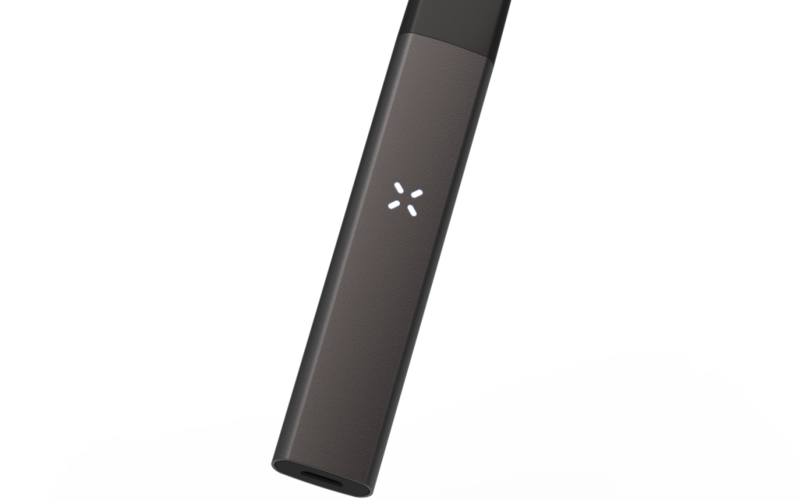 The age of the generic vape has been rendered obsolete–now begins the Pax Era!